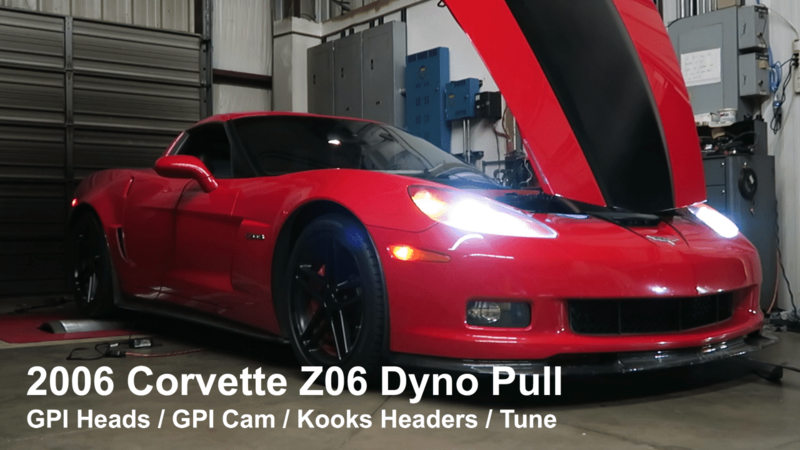 2006 Chevrolet Corvette Z06 Dyno Results with GPI Heads / Cam! This Z06 came to us after a very unfortunate “high RPM event”. We are told it was trailered all the way from Mexico to see us, but sadly – the situation was pretty bad. The internals of the motor look to have been used in a Blendtec commercial – suffice to say, it was time for some GPI love. The internals of the motor look to have been used in a Blendtec commercial – suffice to say, it was time for some GPI love. The LS7 in the car was the original unit from the factory, and in nearly virgin state – with only an intake and a set of headers. 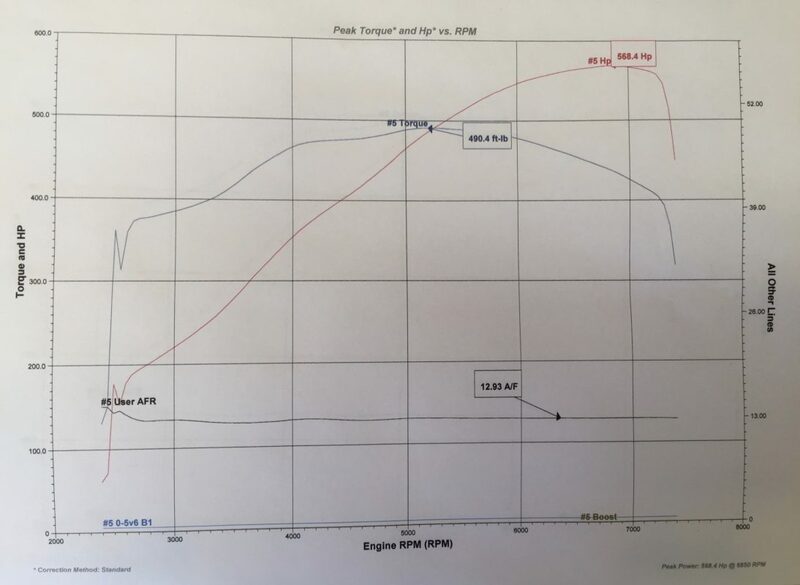 Previous to the “incident” the car put down 480rwhp on the dyno – so we will use this as the baseline. First, we sourced an LS7 short block – installed a custom street grind GPI Camshaft and a set of GPI Cylinder Heads before reinstalling the Airaid Intake as well as the Kooks headers that were on the car when we received it. After a couple of days assembling and installing – it was off to the dyno to get the car dialed in, and see what kind of gains we could achieve with a simple GPI Cam and Heads on an LS7. This car retains nearly stock driveability, and will offer incredible durability as a naturally aspirated powerplant. When comparing results back to back – the GPI Cylinder Heads and GPI Camshaft combo were able to add 90 rwhp, which has dramatically changed the overall character of this car! The owner is very happy to have his baby back, and we are on to the next project! Did we build your car? Would you like to be featuered in the GPI Spotlight? Email us at support@gwatneyperformance.com. Follow us here for more updates around the shop – and let us know what you’d like to see next on the dyno! This entry was posted in Customer Cars. Bookmark the permalink. Welcome to the GPI Spotlight! GPI’s Valve Spring Compressor Tool for the Gen V LT is Officially Available!